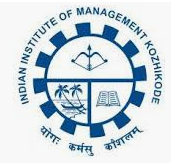 Indian Institute of Management (IIM) Kozhikode invites applications for the contractual position of Academic Associate at the Kochi Campus. Walk-in Interview is scheduled for April 29. MBA/Post Graduation in any discipline from a recognized university. Maximum Age: 35 years as on the date of the notification. Candidate should have good English Communication, proficiency in MS-Office and internet usage. Rs. 22,000 (including Rs. 2000 for accommodation support). 29 April 2019, at 10 am. IIML, Kochi Campus, Infopark, Kakkanad-Kochi. Candidates who have submitted the application before the deadline should appear for the interview. No separate mail/call letter will be sent.